Chiaki Toida, MD, PhD, graduated in Faculty of Medicine from Yamaguchi University in 2002 and, after doing pediatrics, surgical and anesthesia / ICU rotations trained in emergency medicine in Japan. She is now a Senior Lecturer and the Vice-Chair of the Department of Disaster Medical Management at the University of Tokyo. She has received several recognitions including the National Board of Pediatricians (JPS) in 2010, Acute Care Physician (JAAM) in 2011, and Intensive Care Physician (JSICM) in 2012. Dr. Toida is a councilor of the Japanese Society of Emergency Pediatrics. 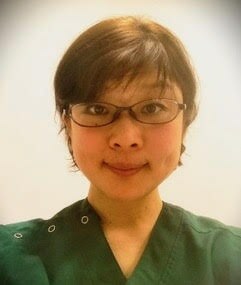 She is also the member of Japan Disaster Medical Assistance Team. Her research interests include out-of-hospital/prehospital emergency medicine, critical care for pediatric patients, and disaster/mass-gathering medicine. Triaging plays an important role in providing suitable care to the largest number of casualties in a disaster setting. As a result, the Pediatric Physiological and Anatomical Triage score (PPATS) was developed as a new secondary triage method. Dr. Toida’s team also evaluated the accuracy of prediction for ICU-indicated patients by comparing the PPATS to conventional triage methods, such as the Physiological and Anatomical Triage (PAT) and the Triage Revised Trauma Score (TRTS). Read the abstract on Cambridge Core.